WHAT MAKES A LUXURY BACKGAMMON SET ONE OF THE BEST LUXURY CHRISTMAS GIFTS? WHAT TO BUY THE MAN WHO HAS EVERYTHING? WHY ARE CORPORATE EXCLUSIVE GIFTS SO IMPORTANT? WHY GIFT YOUR CHILD A LUXURY BACKGAMMON SET? 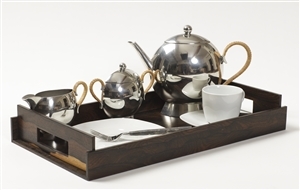 Our extensive Collection of Luxury Home Accessories include contemporary luxury trays, for any occasion, handcrafted in the most prestigious and exceptional woods from around the world. 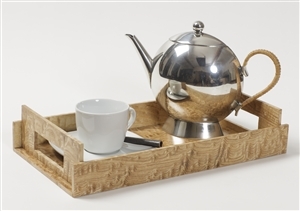 Our stunning range of wooden luxury serving trays include luxury bed trays, individual serving trays, nests of trays, stackable letter trays and empty-your-pockets trays. Luxury Trays in stunning woods. Forever useful and stylish. Perfect for tea and a kindle! A fabulous size for dinner for one with a glass of wine. Perfect for dinner for two! 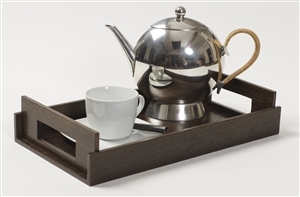 A very elegant and handsome tray to treasure in Royal Santos Rosewood. A truly stunning tray to be treasured in Karelian Birch. A very elegant and handsome tray to treasure in Ziricote. Luxury Trays in Dark Ebony wood. Forever useful and stylish. 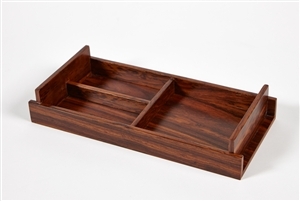 Luxury Trays in Warm Walnut wood. Forever useful and stylish. 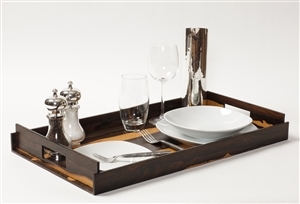 Luxury Trays in Smoked Oak wood. Forever useful and stylish. A beautiful laptop/bed tray in Warm Walnut. Do not sit down without one! Luxury Trays in Sterling Grey wood. Forever useful and stylish. Superb set of extraordinary Ziricote luxury wood trays. 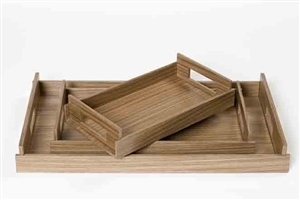 Beautiful set of superb Tamo Ash luxury wood trays. Super luxurious set of trays in Karelian Birch. 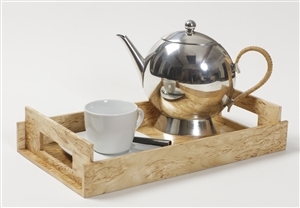 A stunning Pamper Tray in Figured Sycamore. The most luxurious bed tray in Rosewood.